It looks fantastic and so tasty! A beautiful curry. This fits right into our lower salt diet – beautiful, Lynda! This looks delicious! We are huge curry fans. Good point that some spice and acidity can really reduce the need for salt. Ooh, wow, what a flavorful looking curry! I love every single ingredient you added and I know I’d love them combined in this delicious dish. Thanks for sharing! With all of those flavors, especially curry and lime, I would not miss the salt. That said, I rarely use it. Of if I do, it’s as an afterthought. Stunning dish. That curry shrimp is just gorgeous looking. I am sure a squeeze of the lime wedge added another dimension to the dish. You are so right! I don’t use much salt in my kitchen, but I love fresh herbs and dried spices to elevate my dishes. 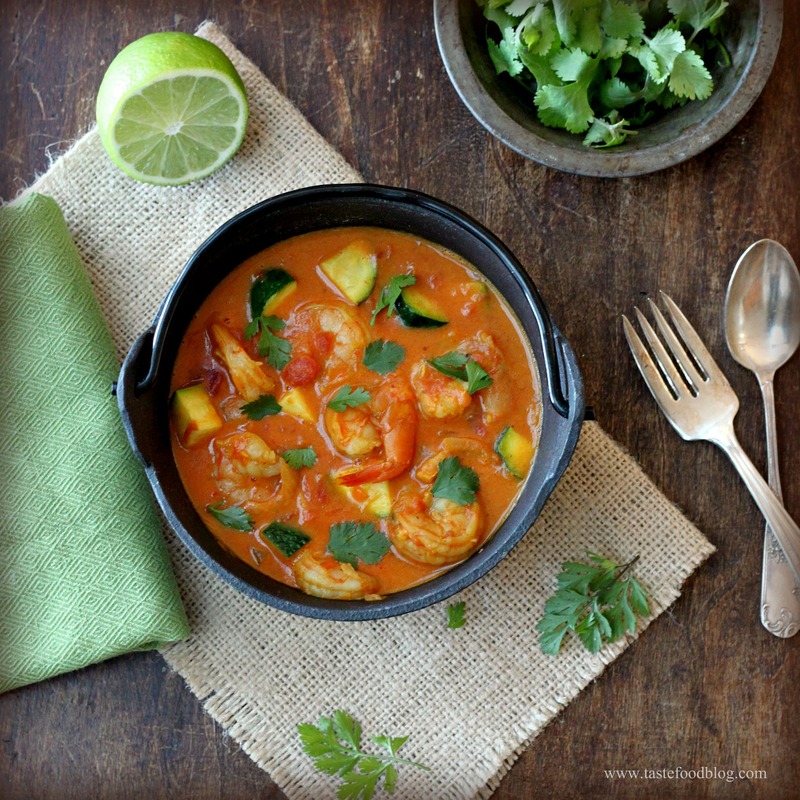 That curry looks scrumptious – lime and cilantro on the side is perfection! I could live on curry, especially one as good as this!